Aaron Panner specializes in antitrust law and U.S. Supreme Court and appellate litigation. He has represented leading companies and individuals in high-stakes litigation in district courts and courts of appeals across the county and has argued five cases before the U.S. Supreme Court, winning four (the other case was dismissed without decision). His clients include many of the nation’s top communications and information services companies. 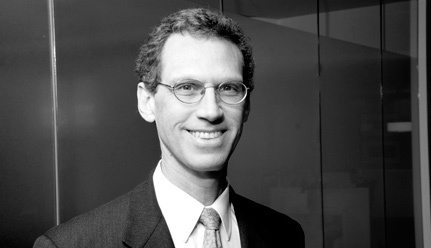 Along with firm colleagues, Mr. Panner was centrally involved in four of the most significant Supreme Court antitrust victories of the past twenty years: Verizon Communications Inc. v. Law Offices of Curtis V. Trinko, LLP, 540 U.S. 398 (2004), which sharply limited “refusal-to-deal” claims under Section 2, putting an end to nearly a decade of litigation related to the implementation of the Telecommunications Act of 1996; Bell Atlantic Corp. v. Twombly, 550 U.S. 544 (2007), which overturned a 50-year-old precedent and established new pleading standards governing all civil litigation in the federal courts; Pacific Bell Tel. Co. v. Linkline Communications, Inc., 555 U.S. 438 (2009), which eliminated “price squeeze” claims under Section 2, abrogating that aspect of Judge Learned Hand’s landmark decision in Alcoa; and Ohio v. American Express Co., 138 S. Ct. 2274 (2018), which clarified standards governing challenges to vertical restraints under Section 1. Mr. Panner wrote the briefs and argued on behalf of AT&T in Linkline, was the principal drafter of the cert. petition and the merits briefs in Twombly, and, along with partner Derek Ho, was a principal drafter of the merits brief in American Express. Mr. Panner has also secured victories in appellate decisions involving (among others) alleged price fixing (In re Text Messaging Antitrust Litigation 782 F.3d 867 (7th Cir. 2015)), class certification standards (Kleen Products LLC v. International Paper Co. 831 F.3d 919 (7th Cir. 2016)), federal jurisdiction (Verizon Maryland, Inc. v. Global Naps, Inc., 377 F.3d 355 (4th Cir. 2004)), standards for patent infringement (Limelight Networks, Inc. v. Akamai Techs., Inc., 134 S. Ct. 2111 (2014)), patent exhaustion (Helferich Patent Licensing, LLC v. New York Times Co., 778 F.3d 1293 (Fed. Cir. 2015)), and other intellectual property issues. He has extensive experience representing amici curiae on a variety of constitutional and statutory issues. Since 2010, he has served as amicus counsel for the American Psychiatric Association, participating in a range of Supreme Court and appellate cases involving matters of concern to the psychiatric profession. In 2006, he received the Green Bag writing award for amicus brief in support of petitioner in Hamdan v. Rumsfeld. Mr. Panner has published several articles on antitrust law and serves on the Editorial Advisory Board of Competition Policy International’s Antitrust Chronicle and the Advisory Board of the Institute on the Supreme Court of the United States, Chicago Kent College of Law. He regularly appears on lists of the country's leading antitrust and appellate lawyers, including Chambers USA, Benchmark Litigation, Lawdragon 500, and Super Lawyers. In July 2017, Global Competition Review named Mr. Panner, along with his partners Michael Nemelka and Derek Ho, “Litigators of the Week” for their work obtaining a preliminary injunction on behalf of their client, Authenticom, Inc.
United States v. AT&T Inc., No. 17-cv-02511 (D.D.C. ): Represented AT&T in the Department of Justice’s challenge to the merger of AT&T and Time Warner. Ohio v. American Express Co., 138 S.Ct. 2274 (2018): Served as appellate counsel to American Express in the Supreme Court’s most significant Rule of Reason antitrust case in two decades. In re Dealer Management Systems Antitrust Litigation, MDL No. 2817 (N.D. Ill.): Representing multiple plaintiffs in major antitrust litigation against the two leading providers of dealer management systems, CDK Global, LLC and The Reynolds & Reynolds Company. Kleen Products LLC v. International Paper Co., 831 F.3d 919 (7th Cir. 2016), cert. denied, 137 S. Ct. 1582 (2017): Represented a class of direct purchasers of containerboard products claiming that manufacturers colluded to suppress supply and increase prices. The court of appeals affirmed, on interlocutory appeal, certification of the class. Defendant, International Paper Co., recently agreed to pay $354 million to settle the class action. In re Text Messaging Antitrust Litigation, 782 F.3d 867 (7th Cir. 2015): Successfully defended Verizon Wireless against a multi-billion dollar price-fixing suit, winning summary judgment and affirmance on appeal and taking the lead in briefing and argument on behalf of all defendants. Limelight Networks, Inc. v. Akamai Techs., Inc., 134 S. Ct. 2111 (2014): Successfully represented technology company in winning unanimous reversal of an en banc Federal Circuit ruling expanding doctrine of induced infringement. Kappos v. Hyatt, 132 S. Ct. 1690 (2012): Secured en banc review of Federal Circuit panel decision narrowing rights of patent applicants to judicial review of patent denials; after winning reversal by the en banc court, won unanimous Supreme Court affirmance. Costco Wholesale Corp. v. Omega, S.A., 131 S. Ct. 565 (2010): On behalf of Swatch Group, won affirmance by an equally divided court of Ninth Circuit ruling protecting right of copyright owners to block unauthorized imports. Pacific Bell Tel. Co. v. linkLine Communications, Inc., 555 U.S. 438 (2009): On behalf of AT&T, secured Supreme Court decision eliminating most “price-squeeze” claims under Section 2 of the Sherman Act, winning reversal of Ninth Circuit. Bell Atlantic Corp. v. Twombly, 550 U.S. 544 (2007): Principal drafter of cert. petition and merits brief in landmark decision clarifying pleading standards, winning reversal of Second Circuit. Verizon Communications v. Law Offices of Curtis V. Trinko, 540 U.S. 398 (2004): Represented Verizon in leading case limiting firms’ affirmative obligations to assist competitors under Section 2 of the Sherman Act.